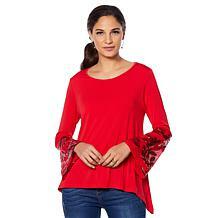 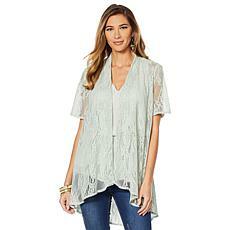 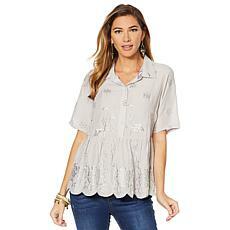 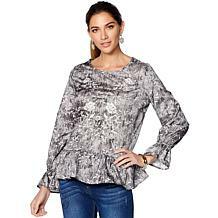 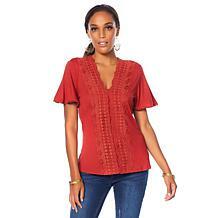 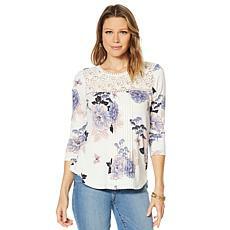 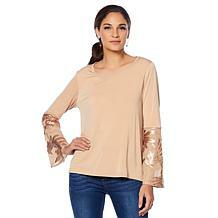 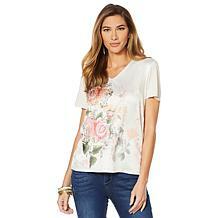 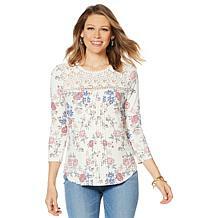 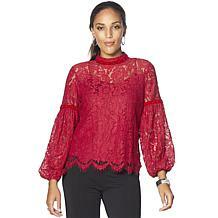 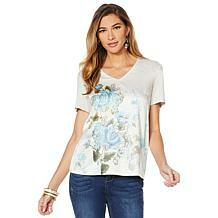 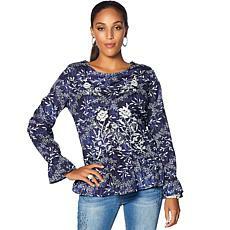 The variety of styles in HSN's collection of LaBellum Hillary Scott tops will take your breath away. 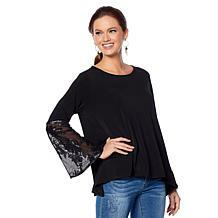 From casual shirts to stunning blouses that are ideal for date nights and casual parties, you're spoiled with a variety of choices. 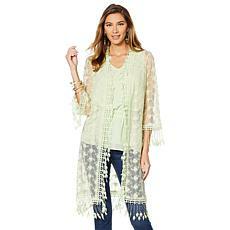 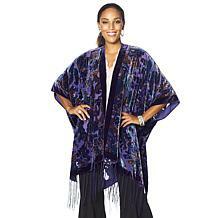 Embrace the retro-inspired style, revealed in fringe details, belled sleeves, and crocheted designs. 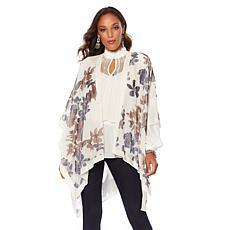 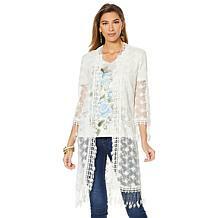 Give your inner flower child permission to splash out in a long cardigan duster or a layered lace top. 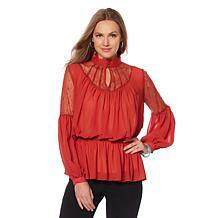 Stock up on blouses for every occasion - and then grab a few extra, just because. 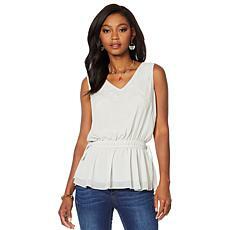 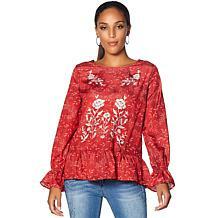 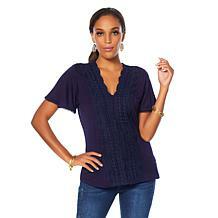 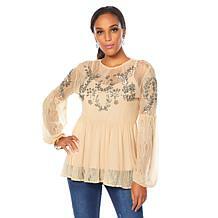 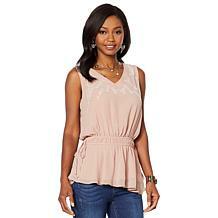 Strike a dramatic, romantic aesthetic in an off-the-shoulder peasant top with eyelet details. Compare wide sleeves with skinny jeans. 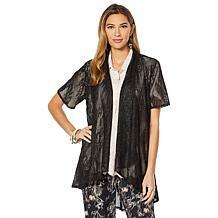 Uncover pieces that you can wear to work and after hours. 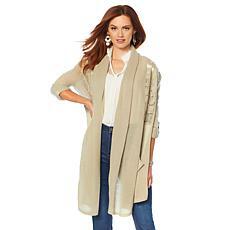 Just snag a few blazers and suit coats to complement your velvet tops and lightweight tanks. 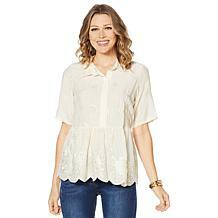 On off days, dare to bring back '70s chic in a faux suede vest or a hand-beaded blouse. 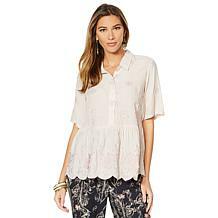 Delight at the line's array of textures, from crochet and chiffon to lace and soft cotton. 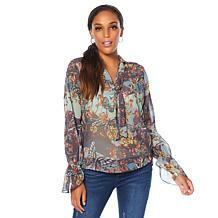 It's time to revamp your wardrobe with statement-making items that showcase the best retro trends. 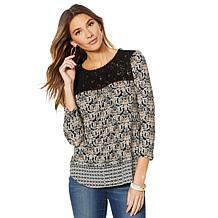 Update your personal style without a care. 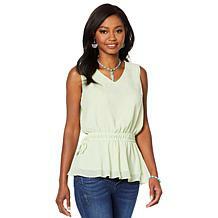 HSN has a variety of payment options ranging from monthly installments to our FlexPay plan.